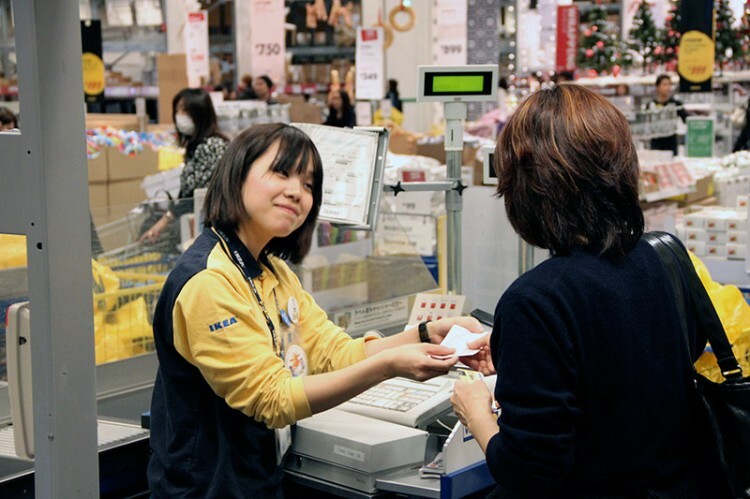 How to Find a Job in Japan as a Foreign Exchange Student Work it out! The question every foreign student studying in Japan seems to ask is, “How do I find a job while I’m in Japan?” Many of you Tofugu readers are probably trying to figure that out now, or maybe you’re planning for the future. I thought it would be useful if I came up with a guide for all of you. Before we go over the different kinds of jobs you can get, there’s something important you need to know first about what jobs you can do and where you can work legally. It all depends on your visa. If you’re here on a student visa, that does not mean you can work in Japan. If you’re thinking about teaching, one-off lessons might be fine, you might be able to avoid trouble if it’s just informal conversations, but if you really want to avoid problems you have to apply for a permit. Applying for a work permit for doing more than what your student visa allows means you need to trek down to your local application bureau. For those of you living (or planning on living) in Tokyo, that usually means a trip to the hellhole known as Shinagawa. Applications take about three or so weeks to process and they only expire with your original visa, so I’d suggest getting it as early as possible so that when you finally do look into jobs, you’ll be covered. If you leave it until the last minute, the job you’re interested in could disappear while you’re waiting for validation. Just because you have a permit to do things outside of studying doesn’t mean you can do every type of work either. To put it simply, nightlife and vice is out. Some people risk it, but you risk deportation if you get caught, so I’d say it isn’t worth it. You can only work a certain number of hours a week as well. Another thing you need to be aware of is that connections matter, especially for information on one-shot, lucrative work. For example, knowing a lot of people means that instead of getting a half-interested person from a web portal who wants to “learn English,” you’re more likely to get to know students who are genuinely interested and who won’t cancel or never show up. So if you’re interested in teaching, make sure you’re ready to network! Also known as the same baito (part-time jobs) that Japanese people do. 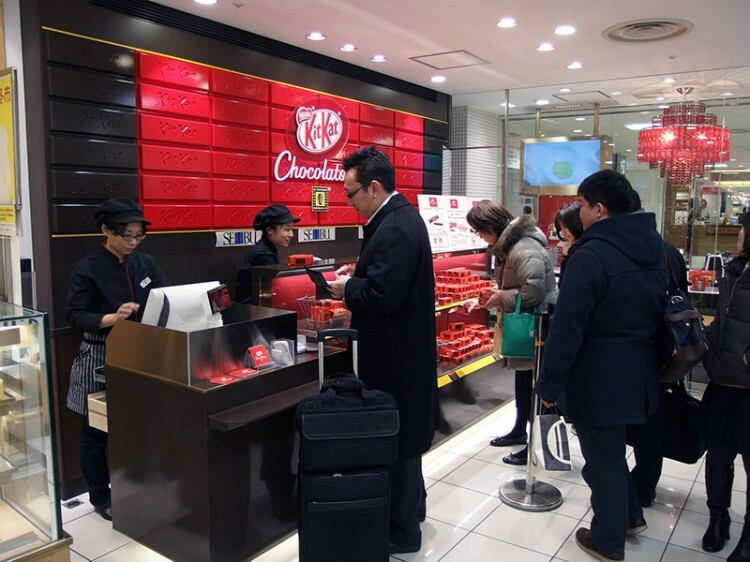 Recently there have been lots of supermarkets, family restaurants, conbinis (convenience stores), and gyudon chains that have been hiring foreign people. Don’t make the mistake in thinking that these kinds of positions are only for the Japanese. The pay may be low, but it will be a consistent form of income. Minimum wage in Tokyo is around 860 yen per hour at the moment and generally lower in other prefectures. Just be careful with overtime and unpaid hours. If you work in a restaurant near closing time, you may be expected to close up by yourself for no extra pay. On the other hand, if you can get a job at a good restaurant as a waiter or waitress, you may get certain perks, like free food. So working a little overtime balances out. Work Permit – This is a formal job so you will probably need to get the work permit. JLPT 1 / 2 Certificate – In most cases these are customer service jobs so you’ll need high level Japanese and a handle on proper Keigo (Respect Language) before anyone will hire you. Language jobs mean anything where you use the languages you know to get work and get paid. There are a few subsections of this type of work. Naturally these are the jobs you should aim for if your Japanese is a little shaky, or you simply aren’t confident in your Japanese language skills. This includes customer service, and basically any job where you deal with people in languages other than Japanese. Pay is marginally higher than working in typical part-time jobs, and they’re mostly available in big cities, mainly at tourism bureaus and department stores. It may seem strange, but English may not be in high demand here since many Japanese people can at least do customer support in English. You may find that Korean and Chinese are in higher demand, so if you speak either of those two languages along with Japanese and/or English, this may be a good fit for you. Work Permit – You’ll definitely need a work permit for these types of jobs. Word of mouth, visiting department stores firsthand and looking for signs, Tomonokai (explanation at the end). Recently a new type of cafe has been popping up all over the place. 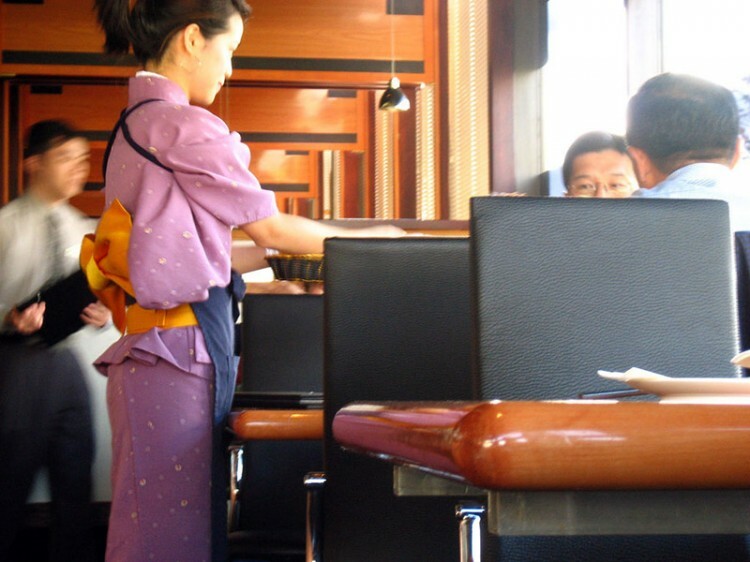 Generally, they brand themselves as Eikaiwa Cafes (English Conversation Cafes), or more appropriately, “Speak with Foreigners” Cafes. They are often looking for foreigners to staff them, which is why foreign students are a perfect fit. They seem quite fun to work at, after all, all you do is serve drinks and food, and chat with people. Work Permit – You probably need a work permit to work at these too. Go online and search “Eikaiwa Cafe,” “外国人カフェ,” or something similar and sift through their websites. If they’re hiring, they’ll say so. Try these sites: Leafcup and Pera Pera English. These kinds of jobs are harder to get than the others because, frankly, people generally don’t trust someone who is studying and who doesn’t have any experience in handling professional translation or interpretation. If you haven’t passed the N2 or above, it may be difficult to get anything. That being said, if you have word of mouth connections, or you’re really persistent, it is possible to find things. Occasionally some companies (especially start-ups) post listings on websites like UpWork (see below) for part time translators. You may want to keep an eye out for opportunities. For more on translation and interpretation jobs check out our guide. There are a lot of different ways to get teaching jobs. There are a few things we need to go over first. Obviously English has the highest demand, so finding positions and opportunities shouldn’t be particularly difficult. However, rarer languages tend to get paid more. 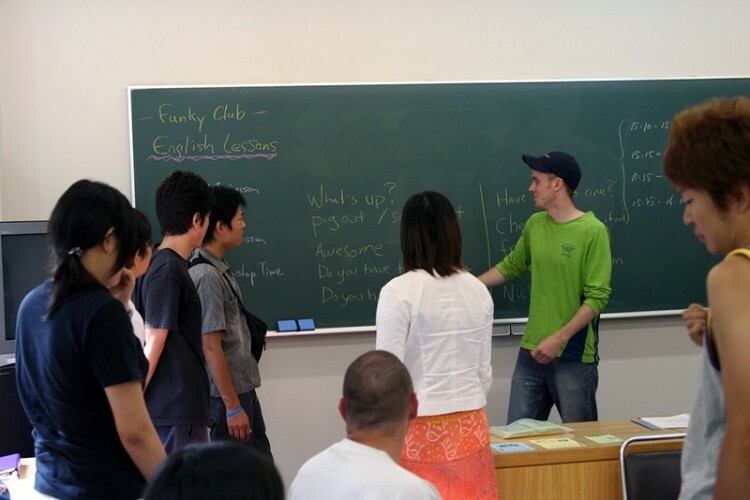 For example, in terms of one on one lessons, English is usually about 1500 yen to 3000 yen per hour. But I know an Italian person and a Russian person who are making more than 3000 yen per hour doing the same job. Asian languages, on the other hand, are not as sought after. The good news is that Korean and Chinese people have the option of teaching in prep schools for Korean or Chinese students preparing for Japanese university entrance exams. You’ll be paid more if you teach at a school or a similar establishment, but that means you will have to put in more work as far as committed hours and preparation. Working for a school means making a commitment and non-flexible hours. These jobs usually come about from word of mouth. If that doesn’t work, consider using kaiwa portal sites such as getstudents.net, enjoylesson and my-sensei.com. These are quite popular recently. One of the best things about this kind of job is that you can work from home as long as your internet connection is good. You can probably make your own lesson plans, which means you can include fun things like songs and rhymes. Example websites: Cafetalk.com, cyta.jp, hello-sensei. The schools you can get jobs at (especially the non-English ones) generally rely on connections from their existing teachers to find new staff. That means word of mouth is very important. Work Permit – You probably need a work permit to work these schools. English camps are very common during summer vacation and participants report that they have a lot of fun teaching at them. 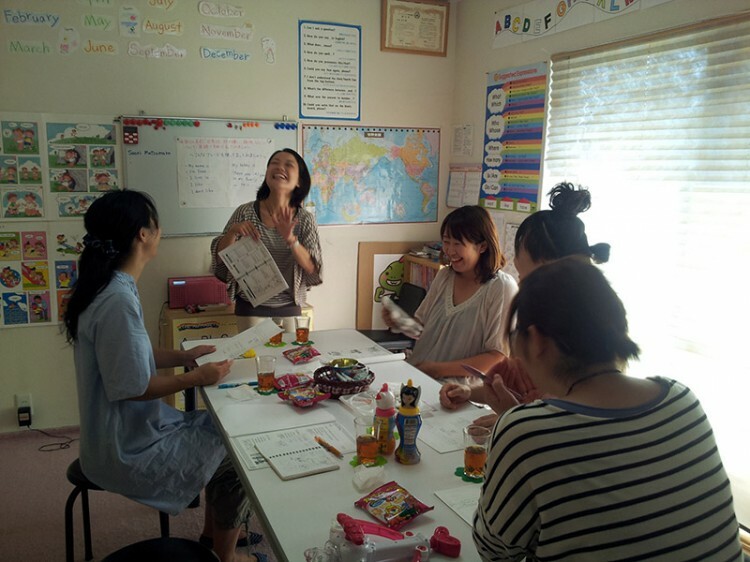 The gist is that they get a lot of foreigners to come and hold a camp in English for (usually) middle school students. Here is an example in Kanto. Work Permit – You probably don’t need a permit, but it depends on the camp. Note: If you’re trying to teach English, don’t have an English sounding name, and are trying to use the English portal sites, you should probably give yourself one. A senior of mine used his Chinese name on his online profile and didn’t get any attention. He gave himself an English sounding name and the messages started pouring in. Just keep that in mind. 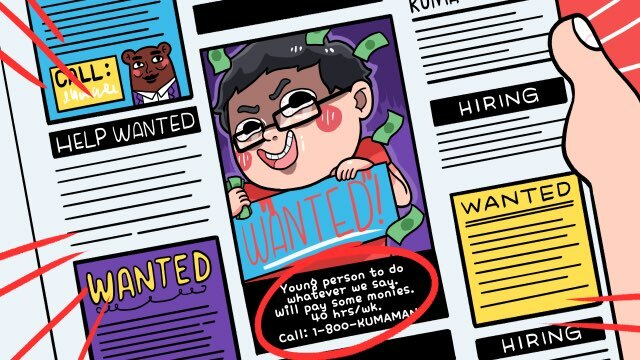 It may sound strange but this is pretty much the most lucrative by-hour job you can get. Given the drive to internationalisation right now, many schools are having their graduation trips overseas or aiming to give their students as much exposure to foreign cultures as possible. And that’s where you come in, visiting schools for single lectures about your home country. Sometimes this is in the form of a lecture, but other times you can interact directly with students as well. You will generally be visiting middle and high schools so it’s an opportunity to look at what Japanese students are like too. And did I mention this job is really lucrative? The minimum is generally around 2000 yen per hour and can go up to around 8000 per hour. Work Permit – generally not required since it’s a pretty erratic kind of job. 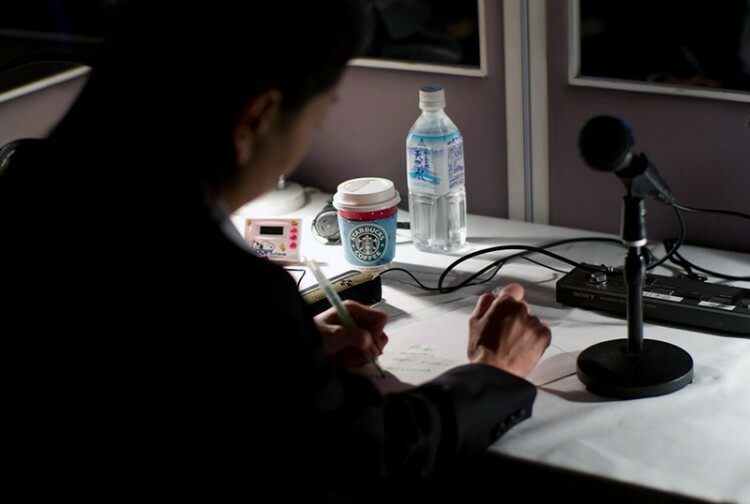 You will usually need to give your talks and lectures in Japanese, so a strong command of the Japanese language is needed. Try using Tomonakai, Ryuugakusei ga Sensei in Kanto (applications only in October-November), and OFIX in Kansai provide the main opportunities. Tomonokai – A mailing list that often sends job listing for teaching culture and for customer support positions. Sign up using this form from their website. The mailing list is in Japanese so you’ll need to understand that to get what’s going on. Gaijinpot – This site posts mainly full-time positions, but occasionally part-time ones show up. Wantedly – A job listing website, mostly lists full-time positions at Japanese startup companies, but you also get a healthy mix of intern / part-time positions too. UpWork – A site for global freelancers which sometimes has jobs pertaining to Japan. Baitoru – This website lists lots of part-time positions, a portion of which welcome foreigners. Baitalk – A site that posts a lot of part-time jobs, varying in industry. That’s all I can help you with folks! Feel free to post stuff that you know of and let us know what you think will help other readers too!